1/04/2019 - Biobest’s Swirskii-Long-Life-System has just got even better due to its improved sachet formulation. The number of predatory Amblyseius (Typholodromips) swirskii mites per Long-Life sachet has been boosted from 150 to 250. 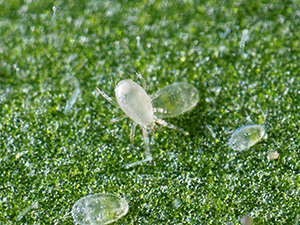 “Widely used as a key beneficial in sweet pepper, cucumber, aubergine, strawberry and some ornamental crops, this glutinous predatory mite prefers young stages of whitefly and thrips – consuming 5-10 prey a day,” explains Hanne Steel, Biobest Product Manager.